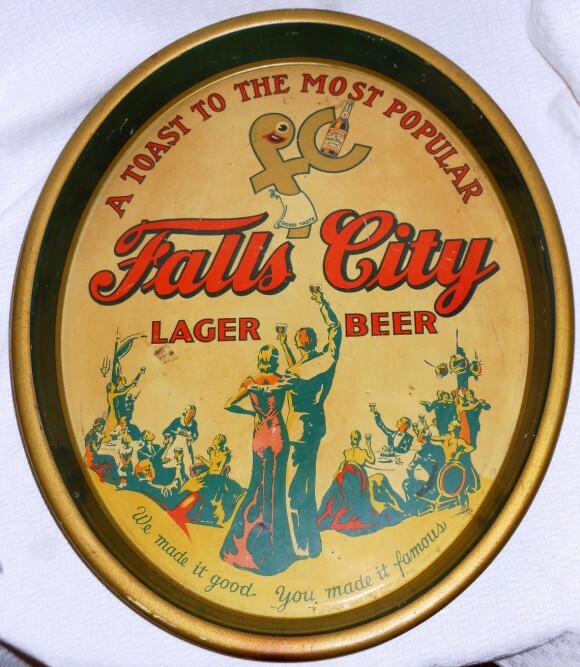 Serving Tray for Falls City Lager Beer from the Fall City Brewing Co. in Louisville, Kentucky. Text across the top states “A Toast to the Most Popular.” The text along the bottom states “We made it good. You made it famous.” The center shows a group of high class people raising a toast to each other with glasses of the company’s brew. This 1930s era tray was manufactured by the H.D. Beach Company and is a 12.5″ x 15.25″ oval.